The National Endowment for the Arts (NEA) announced on June 30, 2016 awards to nine artists, among them three of Native heritage: NACF 2015 Artist Fellow Clarissa Rizal (Tlingit T’ak Dein Taan Raven Clan), NACF 2016 Artist Fellow Teresa Secord (Penobscot), and Brian Akpia (Sisseton Whapeton). The NEA National Heritage Fellowships recognize the recipients’ artistic excellence and support their continuing contributions to our nation’s traditional arts heritage. Each year the National Endowment for the Arts honors a select number of artists for their artistic accomplishments and efforts to share their knowledge with the next generation. We congratulate these artists on this tremendous achievement! 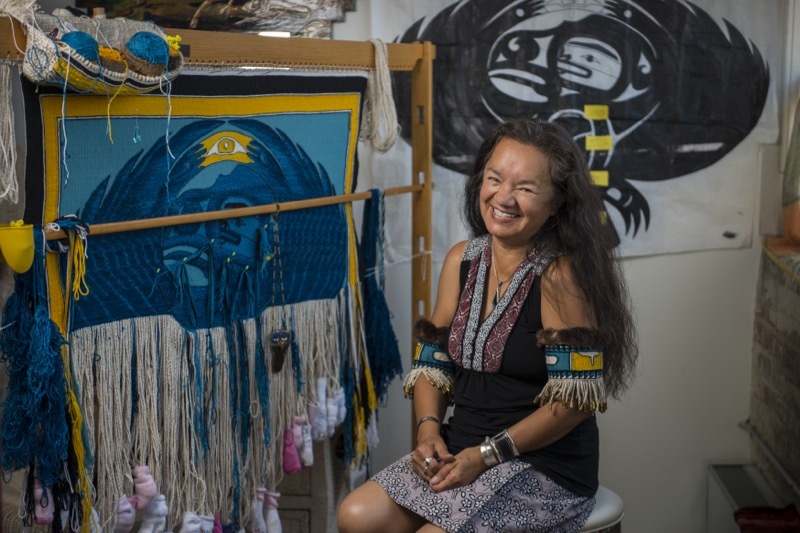 Left: Weaver and 2015 NACF Artist Fellow Clarissa Rizal (Tlingit T’ak Dein Taan Raven Clan). Photo by Tulsa Photographer Jeremy Charles. 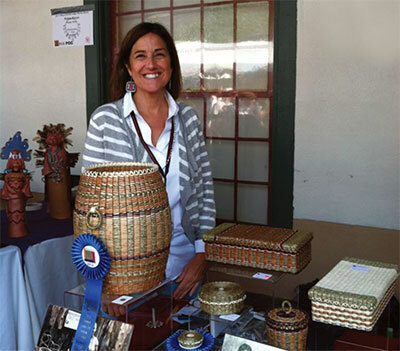 Right: Basketmaker and 2016 NACF Artist Fellow Teresa Secord (Penobscot).